Scottish brewer and pub owner BrewDog has admitted it is somewhat surprised after a bar opened in China, using its name and logo. 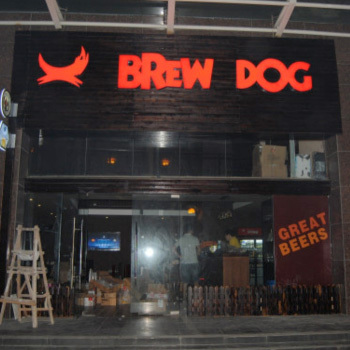 James Watt, the co-founder of BrewDog, has confirmed that the store which opened in Changzhou, South China, has nothing to do with his company. “We don’t have any stores. We distribute our beers in China, mainly in Shanghai, but this is a fake unit,” he said. BrewDog exports to 32 markets around the world and expanded to China in 2011. BrewDog expects Beijing’s real beer lovers to “go crazy” for its craft beer brews and abandon their favourite national brand – Tsingtao Beer.